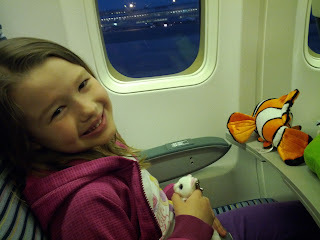 I am sure that there are other things going on this month to talk about, and we'll get to them, but the first and most important bit of business to get to is the trip we recently took to DisneyWorld. It was a lot of firsts, this trip. First time we took a real family vacation, your first trip since infancy out of the country, your first time in a plane. Everyone's first time to the happiest place on earth. And I was right, as it turned out. Once we started to get close to the day we were going to leave, you did start to get ridiculously excited to go. You had a really great time. 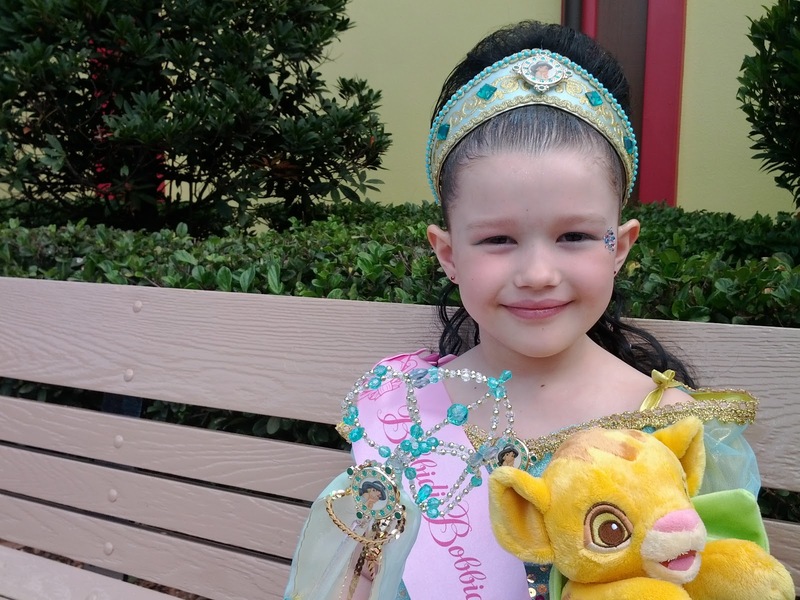 You went on rides, you played games, you got to go to a special boutique for little princesses. For that one, you got to select your favourite princess costume and had your hair, nails, and makeup done. It was very special, and even though you went the 2nd of 4 days there, you wore that costume the entire rest of the trip. You found a few rides you really liked. 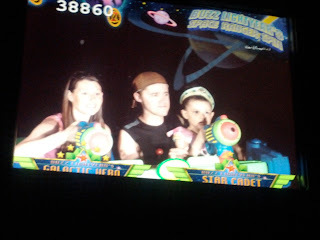 There was a Buzz Lightyear interactive game that you really enjoyed, and we had to do that a few times to get your fill. You also found a ride you hated so much that we had to go on it no less than 3 times. It was an old ride, probably one of the oldest in the park. A ride in a mock mine cart as you get wheeled on a track by alternately scary and cute pictures from the Snow White story. You probably wouldn't have cared much about the ride except for a few particularly scary images of the witch. Because of her, we just had to go back. Another item that I think that you'd like to remember is your experience meeting the Disney princesses. 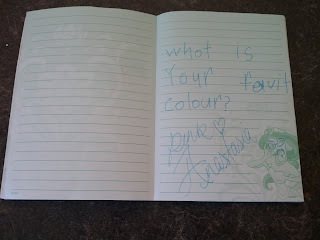 We got you a journal to make notes in and get autographs for, and on your own you thought that you might like to document some questions to ask the girls when you met them. And when you met first Ariel, and then Cinderella, Snow White, Belle and Aurora, you patiently asked them your questions, and they wrote their answers in themselves or told them to you before they signed. It was adorable, and I want to make sure that you hang on to that book. I've digitized it for you just in case. One final Disney story. We had a running gag going the entire time we were down there that had me laughing every single time. I'd ask you how you felt about missing school, and every time without fail, you would deadpan "I wouldn't say I'm missing it, Dad". Hilarious. One noteworthy non-Disney related update for you. The bus and school puzzle seems to be fitting together better these days. Every day I wait until I've put you on the bus before leaving for work, and its become a really fun thing for the two of us. We get to talk, just the two of us, even for a few minutes. Somedays I'll bring a storybook with us, if we've been working on one, other days you and I play this game where we take turns calling out what we have to do next (hop backward 6 times, take 2 giant steps forward, etc). Its the best way to start my day, and that's saying something. I've started getting up at 6 in the morning every day, and every 2nd day I run 5 kilometers before you even get up. As good as that feels, and it feels really good, the highlight of my day is seeing you wave back at me from the bus, all smiles. 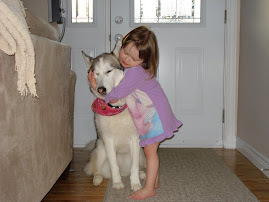 I know that you're going to be ok, and that makes me so happy.